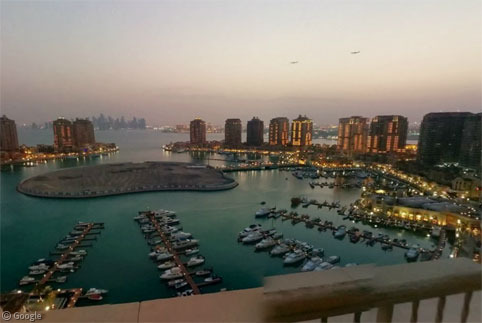 The Pearl-Qatar is a luxurious residential and resort development being constructed on a network of artificial islands in the waters north of the Qatari capital Doha. 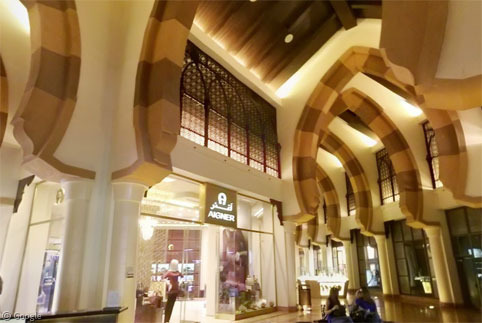 The development’s name comes from the pearl-diving industry which used to be based on the reef which is now being reclaimed. The design of the islands is intended to resemble a chain of pearls. When construction is complete it will encompass millions of square metres of land divided into several districts. There will be dozens of apartment towers, hundreds of homes and individual villas, along with luxury hotels and opulent stores and restaurants. Although an initial cost estimate for the project was $2.5 billion (all figures in USD), the total is now expected to be six times that, at $15 billion. 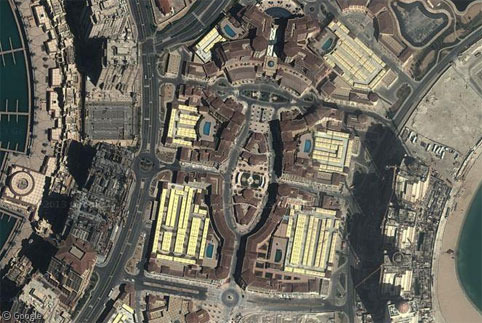 The large Porto Arabia district encompasses 31 apartment towers (with a two-bedroom home valued at close to $1million) around a circular lagoon with a central island and a marina with space for 750 boats. There are also more than 400 town homes, over 6,000 parking spaces and extensive space for retail stores. … and a ground-level view. 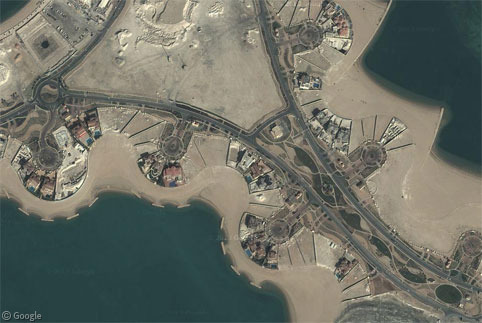 All together the Pearl-Qatar development has 40 km (25 miles) of new coastline, with significant parts of it given over to large private villas. 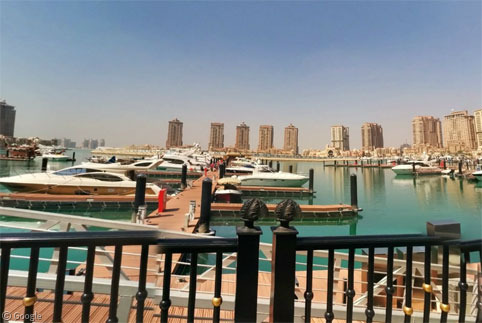 To the north of Porto Arabia is the somewhat more exclusive Qanat Quartier – a ‘Venice-style’ area with canals, public plazas and beaches. There is even a replica of Venice’s Rialto Bridge. 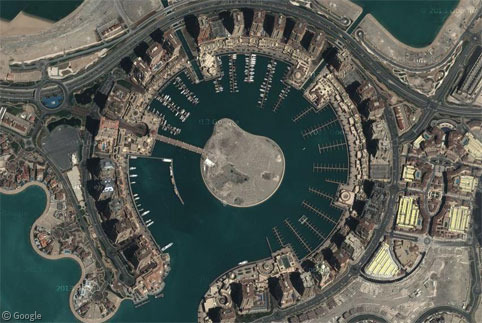 East of Porto Arabia is a similar area called Viva Bahriya Towers – another 29 apartment towers around a circular lagoon and marina. 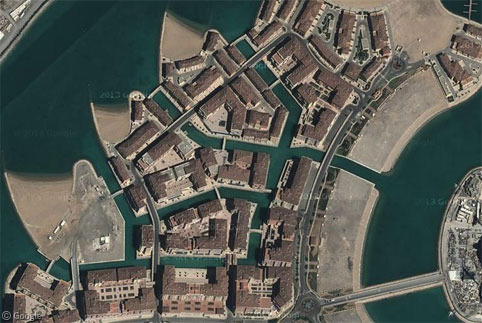 Between the two lagoons is the Central Medina, described as the ‘heart’ of Pearl-Qatar – an urban village “combining the nostalgic architecture of eras gone by, with modern conveniences”. That is, it’s a shopping, dining and entertainment district, though very pedestrian-friendly with scattered plazas, terraces and gardens. 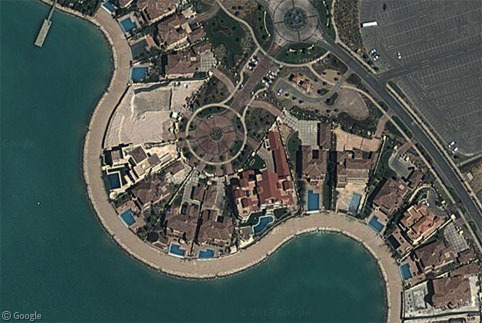 Continuing east where the island narrows, there is another area of large beach-front villas. 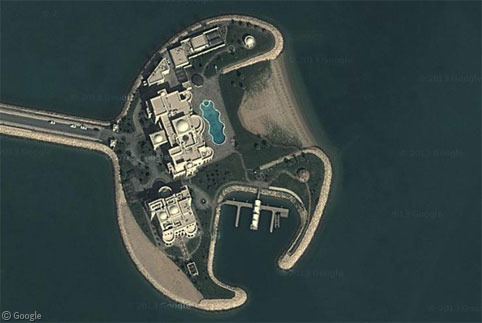 And beyond that are the most extravagant features of the development – 9 private islands complete with a large beach and docking for several boats. 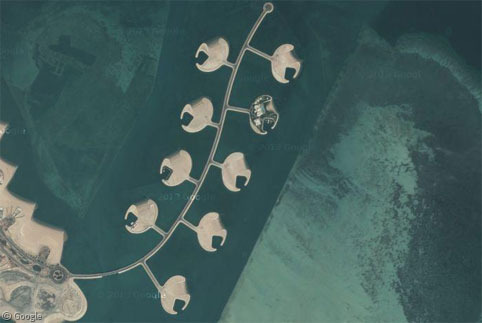 Each can be developed in whatever way the buyer desires, though unfortunately I haven’t been able to track down how much each island costs, let alone what it would cost to build a palatial residence, such as the only one complete at the time Google’s imagery was taken. 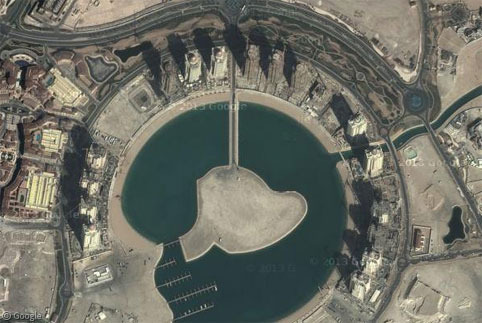 You can learn more about the Pearl-Qatar on Wikipedia, and the development’s official website. I cannot see normal Americans visiting this place as The U.S. is hated by this country. I would be in total fear of my life a would not think of the experience as a pleasurable vacation.